Young people in poor neighborhoods face major obstacles to school success. The Foundation supports a range of GED and life-skills programs and a growing number of college access and retention efforts. To meet special needs we also target initiatives for low-income single mothers and youths in foster care. With only 25 per cent of New York’s high school graduates deemed truly ready to take on college work, many poor and first-generation students use up valuable financial resources on remedial classes or drop out early in their post-secondary careers. To ease the transition to college life, Good Shepherd Services launched LifeLink, a comprehensive Bronx-based program to help participants address their academic weaknesses and improve their chances for success after high school. The first step in the LifeLink sequence is the Summer Bridge Program. Staffed by experienced teachers and alumni assistants, the Bridge helps students establish realistic goals and useful study skills while using guided, computer-based exercises to spur academic progress. The ultimate goals of the program: to help the students prepare for the CUNY placement tests, to reduce or eliminate the need for extensive remedial work and to get participants on track to begin accumulating college credits as soon as possible. In 2011, 91 per cent of the LifeLink students showed improvement in their placement scores. LifeLink doesn’t end with college admission. The program’s counselors and social workers remain available on an individual case management basis to make sure that their students are keeping up in their college work and taking advantage of campus-based services. Peer-led study groups are also offered daily during the school year. 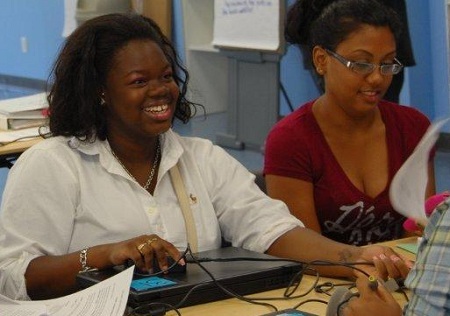 Since many LifeLink participants entered the program from Good Shepherd’s GED programs and alternative high schools in the heart of the Bronx, LifeLink has established a special outreach office on the campus of Bronx Community College. But wherever LifeLink graduates go, they are welcome to return for an academic refresher or to talk with the program’s social support staff. Good Shepherd Services also operates a LifeLink program in Brooklyn and more than 70 other programs serving 20,000 New York City children, young people and families. The Foundation has awarded Good Shepherd 29 grants totaling $6 million since 1984. For 2013, Good Shepherd received a $400,000 grant for LifeLink.